Do you have website and social media photo envy? Always wondering where everyone gets those gorgeous styled stock from? You know the ones that look feminine, soft, delicate and elegant? You could literally spend hours of your valuable time searching for them, time that you could be spending in your business, right? I, myself, do spend quite a bit of money every month on stock photos. I do also use the free sites too though. I spend hours searching for “just the right image” for moodboards/brand boards for each and every project. But those are paid for a lot of the time. Styled stock photography has exploded recently and it’s no wonder as most of them are drool worthy. Not only that, they literally save you heaps of time as they have the perfect amount of space left for overlaying your text, they look effortless, they look visually stunning and if you find just the right styled photos for your brand then you can use these for all your on and offline branding and marketing. So where can you get FREE styled stock from? What a delight to find this gorgeous site. I cannot express enough how gorgeous the free styled stock is on this website. It’s really polished and professional. Soft and gentle too with a vintage feel. No need to sign up or anything – just download and go. Sign up to receive 50 free stock photos. There is also a paid for membership option too! But all you have to do to receive the free images is sign up here. Visit this blog post here and get instant access to 10 free styled photos. You don’t even have to sign up! In the last paragraph of this blog there is a link and with one simple click you’ll get access to 8 free styled stock photos – downloaded directly to your computer. No need to sign up. By far one of the best free resources for styled stock and great photos. Just sign up to the Free Stock Photos link along the top and get instant access to 330+ styled stock photos & countless other blogging business resources. It’s an incredible resource – you’ll be blown away with how much is in here. And it’s updated EVERY month! One of the most well know and superior styled stock sites. The finish on these are, in my opinion, are superior. Sign up to Rachel’s newsletter to get free stock photos. Click the Free Library option on the menu. Once in you’ll get sent a password. It looks like new stock it updated regularly. Receive a free bundle when you sign up and continue to get other freebies every month. Your free bundle will arrive in your inbox via a link which you simply click and download. Sign up on the website header to get 20 free stock photos instantly and monthly – yup that simple. Get 15 free images land in your inbox by signing to Allison’s newsletter. Just click on the big pink button within the blog and bingo. Visit the blog here to get access to 7 free images. Click on the image at the bottom of the blog and fill out your details and get instant access to 15 styled photos. 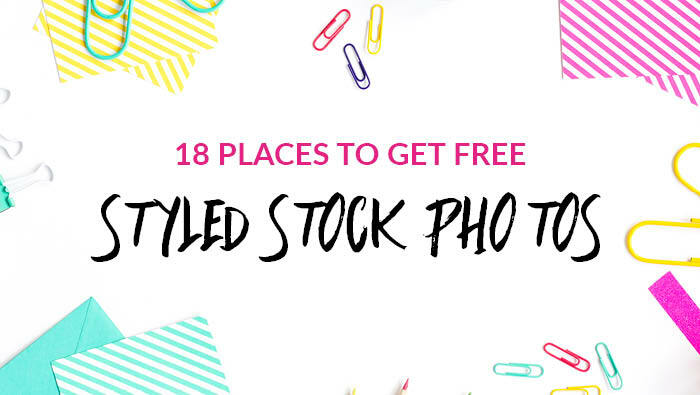 Sign up to Ellen’s email list to receive 10 free styled stock images. Download a photopack which includes 20 swoon worthy high res photos in both landscape and portrait. Simply click on the link along to the top menu. Click on the Free Gallery link on the menu along the top. You can enter your email address and view the gallery. Once in you can click on the image you would like to download and you have to enter your email address again to download. BUT there is also an option to download last year’s entire portfolio of images to via the dropbox links. Ideal if you don’t want to sign up. Scroll down on the home page to sign up to the newsletter to receive 10 free stock images. Visit this blog to get your hands on some pretty free images. Sign up via this page to gain access to the free resource library. So there you go – this will save you loads of time searching for free stock. Just remember to check all the license T & Cs on how you can use the images. And if in doubt – contact the website. Ok, so you’ve got the images but do you need some help creating amazing graphics for your website, blog and social media? I’ve got you covered lovely lady, check out my FREE Beginners Masterclass in Canva here. May I know where did you get your blog post image from? I am looking for bright pinks and yellows like they are in your blog post title image. Thanks in Advance! 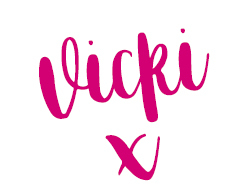 Thanks for the mention, Viki!